Celebrate Paul Simon's 70th birthday this fall with the brand-new one hour solo-career-spanning special, a guided tour behind his latest album from earlier in 2011, plus two great hours about the closing years of Simon & Garfunkel. 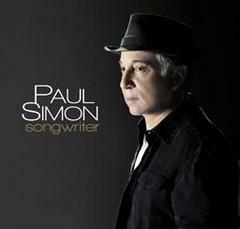 Produced by Joyride Media / Hosted by Rita Houston (WFUV) - "Paul Simon: Songwriter", "Simon & Garfunkel: Live 1969", "Simon & Garfunkel: Bridge over Troubled Water"
Produced/hosted by Brad Paul - "So Beautiful or So What: A Guided Tour"
Paul Simon and producer Phil Ramone go deep inside the making of Simon's new album "So Beautiful or So What." Download audio for full one-hour special or any of the 5 one-two minute isolated interview clips. Paul Simon gives a personal guided tour of the about his songwriting, experimenting with ambient sounds heard in the music tracks and many of the topics behind the songs on So Beautiful or So What. Great to pair with the recent Bridge Over Troubled Water or The Troubadours specials. 5 one-two minute isolated Paul Simon soundbytes are also available for your own production needs.